The idea of the “man cave” isn’t a new one, but there have definitely been some interesting interpretations of the space throughout the last few years. 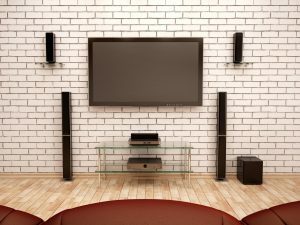 Some men have turned their loft space into a game or entertainment room, while others have completely transformed their basement into a home theater, billiards, or memorabilia room. Whatever the case may be, men across the country love building a unique space where they can retreat to watch TV, play video games, or hang out with their friends. At Better Built Barns in Washington, we love the idea of a man cave shed, and we can design and build the perfect space for your backyard! The term “game room” can mean several things, and when designing their cave, men often think about the games they can incorporate into the space. They might want a pool table, classic arcade games, and other forms of entertainment that they enjoy. We can make sure there’s plenty of room for you and your friends to move around the billiards table, and still have space for people to sit and watch. If you want to have certain electronics in your shed, such as a classic Pac-Man arcade cabinet, we’ll make everything is properly wired. When designing your shed, you may be thinking more about watching the game in there than playing games. Your vision may include plush seating, a small wet bar, and a large flat screen television. Instead of taking over the family room every Sunday, you and your buddies can head out to your man cave and watch the game in its entirety. If you’re a movie buff, you may like to spend your weekends watching your favorite films. You and the entire family can also sit down and watch a new movie when it comes out on Blu-ray. You might not have the space in your house for a full home theater, and you can set up your shed however you want, complete with movie posters and a vintage popcorn machine. We have a number of custom shed models available, and based on your needs and wants, we can help you pick the right configuration. Every shed is built on site, and we’ll make sure every door and window is installed perfectly. We can even include a covered outdoor seating area where you can enjoy a cold drink on a warm summer evening. When the weather in Washington turns cold, you can head inside your fully insulated shed and play a game of pool or watch a movie. 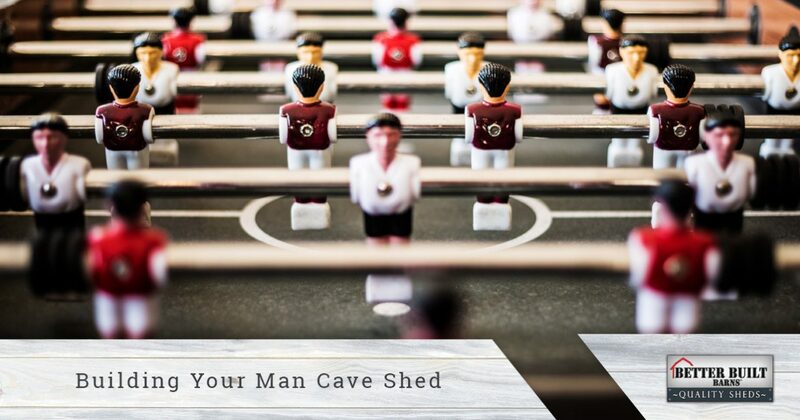 To get started on your man cave shed, give us a call today. We love seeing the looks on people’s faces when their shed begins to come together, and they can see how it will function for years to come. Most people cannot wait to get their furniture and other items moved in so they can begin using and enjoying their custom space. Contact us now to learn about all of your options!